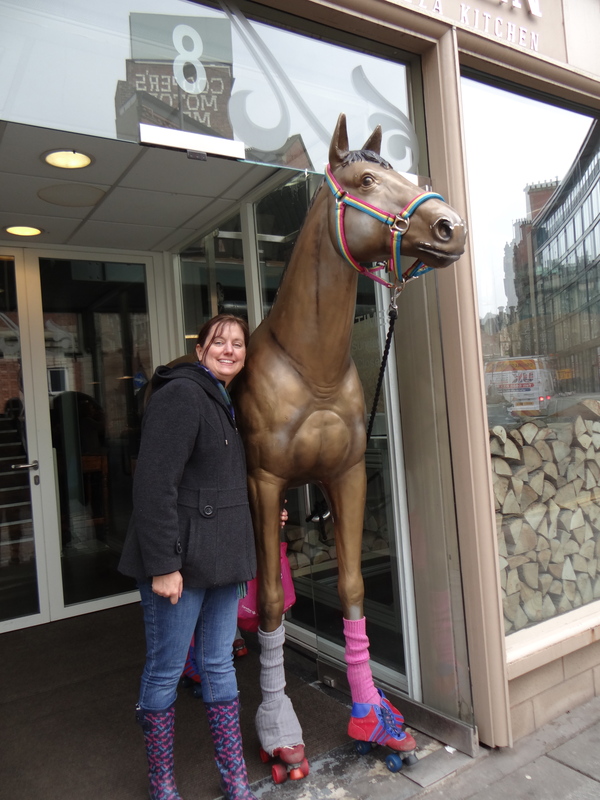 While touring around Newcastle last Friday we saw a most unusual sight. 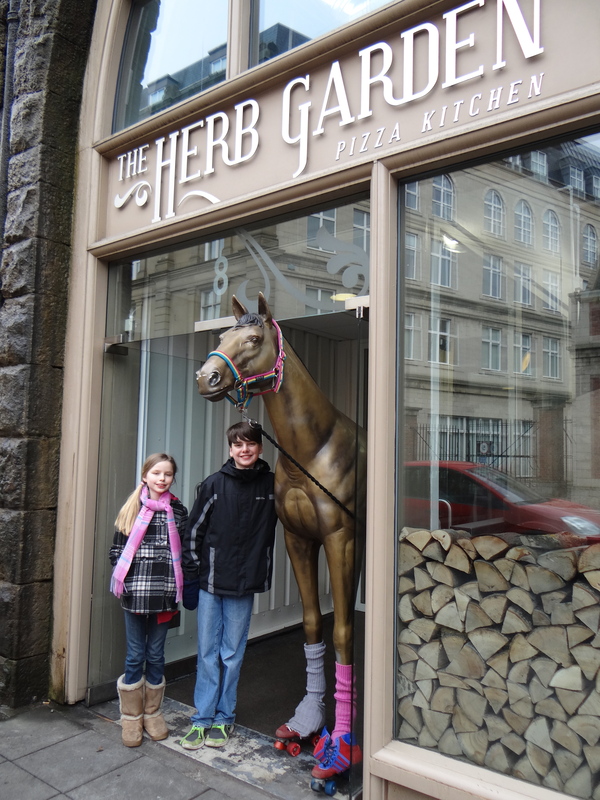 Just inside the doorway of a pizza shop stood a life sized model of a horse. His head was higher than the doorway he occupied and it stuck out into the footpath. This fine steed was also wearing two fine pairs of roller skates with mismatched socks. Quite the horse of a different colour. Very curious…. indeed. I wonder if that place has good pizza? Perhaps the roller skates are used as a type of castor wheels to wheel him out to his post every morning. If I worked there I would love to roll him into place every morning. I would sing, “I’ve got a brand new pair of roller skates…..” What a gig that would be.